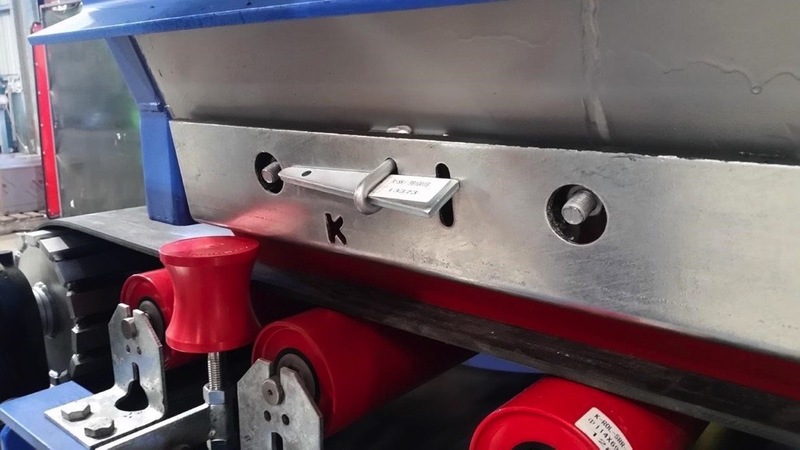 Kinder’s latest innovation in skirting maintenance, the K-Conlock® Clamp System removes all the maintenance issues & OHS risks associated with working in “confined spaces”. The advantages of flexibility in changing out skirting seals from the outside in a matter of minutes reduces production down time and promotes continuous productivity. K-Conlock® Clamp System also fulfils the practical requirement of a reliable and serviceable clamp system that is free of complications and doesn’t rely on the need for special tools to maintain correct seal pressure. K-Conlock® Clamp System can be easily installed and effectively accessed from outside the transfer point, eliminating all OHS issues and the need for maintenance staff to put their hands in often hard to reach, unexposed confined areas. Skirting seals such as Kinder’s K-Containment Seal can easily be clamped between the chute wall and K-Conlock® Clamp System locking plate. Adjustments to the assembly can be quickly and easily made from the outside, without being completed disassembled, this effectively saves operational maintenance time and resources. 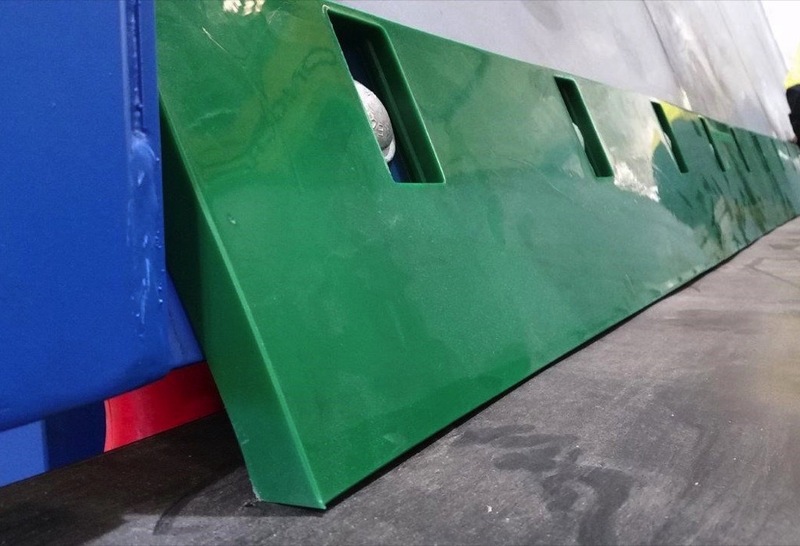 Various types of soft skirting can be interchanged and retained using this clamp system, further helping to reduce maintenance costs.